In a sign of how serious state powers are taking the emergence of blockchain, the most powerful regulatory body in the US now has a working group dedicated to protecting its users and investors from fraud in the sector. The US Securities and Exchange Commission (SEC), the agency whose mandate is to create fair and efficient markets, is also now emerging as a public voice in the industry, spotlighting the technology at an event this week in Washington, DC. Both developments signal that progress is being made. Yet for some industry observers, the statements will likely fall short – some of the most important questions facing entrepreneurs and investors building with blockchain technology remain largely unanswered. And it appears that isn’t likely to change soon. The head of the SEC’s distributed ledger working group, Valerie Szczepanik, isn’t able to speak about her plans for blockchain regulation or how the agency will pursue enforcement in the industry. But for the first time with a member of the media, she elaborated on the working group’s internal structure, how it operates with other departments in the SEC and how serious the regulatory body is taking its exploration of blockchain. In conversation with CoinDesk, Szczepanik explained the influence of the group and why the SEC is taking an increasingly public stance on the issue. Founded in 2013 as the Digital Currency Working Group, the organization has since changed its name to the Distributed Ledger Technology Working Group (DLTWG). 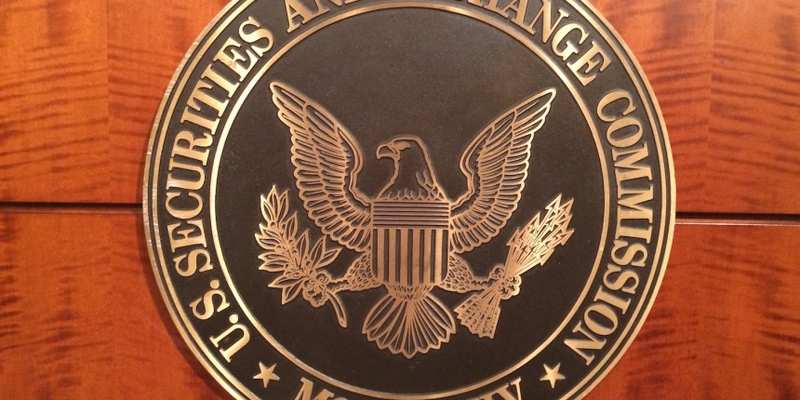 In the group’s early days, its mission tended to align with Szczepanik’s role as the assistant director of the SEC division of enforcement. Since then though, it’s expanded to include 75 diverse members. Participants sign up via an internal listserv and work to train their peers on distributed ledger technology while bringing in outside consultants to explain the technology and increase the agency’s awareness and education. To help minimize redundant projects, members in every division of the SEC coordinate behind the scenes. (One of the group’s goals is to learn about the emerging risks created by distributed ledger technology). The DLTWG also coordinates cross-agency regulatory efforts with federal, state and local law enforcement. For example, the SEC’s Specialized Working Group on Equity Market Structure has its own Blockchain Task Force. Employees continue work on their cases while keeping an eye open to how blockchain impacts other divisions of investment management or trading and markets. Though exact details of the current work remain sparse, what is becoming increasingly clear is that the SEC plans to take its time before granting any future permissions to blockchain companies. Of note are the many issues discussed in public filings so far this year, including the application of existing laws to bitcoin financial instruments. For example, the SEC is currently working with two separate exchanges competing to be the first to host a bitcoin exchange traded fund (ETF). In September, the SEC delayed its decision to approve or refuse SolidX’s request to list a bitcoin ETF on the New York Stock Exchange. Then a month later, the regulator posted a request for additional comments about Gemini’s application to the Bats Exchange. Perhaps the regulator’s most notable action this year wasn’t for granting permission, but for a cryptocurrency settlement. In July, the SEC issued a cease-and-desist order against the OTC-traded Bitcoin Investment Trust (BIT), founded by Digital Currency Group CEO Barry Silbert. Its authorized participant SecondMarket was ultimately asked to disgorge $50,000 in fees it had collected, though no parties admitted or denied charges. But the truly disruptive power of blockchain won’t be just in the form of new bitcoin-related products sold via major exchanges – last year, the SEC approved online vendor Overstock’s plans to issue securities on its own custom-built blockchain stock exchange. Following a partnership announced earlier this month with Connecticut-based investment bank Source Capital Group, Overstock’s offering is slated to begin trading in December. But even this model faces potential disruption, and so far, the SEC has remained noticeably silent on the matter. Since an ethereum startup called The DAO raised over $100m by selling digital tokens without an exchange, a rush of companies have followed suit. So-called initial coin offerings can be launched from anywhere in the world and cross borders as easily as the Internet itself. With millions of dollars worth of capital raised so far and dozens of ICOs in the works, how the SEC will handle the technology is one of the biggest areas of regulatory uncertainty in the industry. Regardless of whether Gemini and SolidX ever win approval or if ICOs might displace traditional fundraising, the SEC will likely play a role. In SEC chair Mary Jo White’s last address to the public before announcing her impending resignation, she explicitly listed the Distributed Ledger Technology Working Group as “carefully evaluating when and how this technology will be on-boarded within the securities market”. Among the blockchain disruptions White says the SEC is watching, she listed interoperability, scalability, whether systems should be permissioned or not and how secure is the customer data and assets on a blockchain. The SEC joins regulators around the world working to strike a balance between the potential benefits of distributed, shared ledgers and the potential risks. Last month, Swiss lawmakers announced their own plans for blockchain regulations, and in August, both Singapore and the UK revealed similar measures. As these global regulators work to weave their various blockchain efforts together, some things will likely stay the same. On Monday, Szczepanik moderated a panel on how distributed ledgers have already changed the way the financial sector thinks about post-trade, and how it will change those services in the future. The consensus among the panelists was that the changes would run deep into how the SEC does its business, especially the technical qualifications of many of its employees. But what won’t likely change are the principles of risk management and transparency on which the regulations are built. Following the panel, Szczepanik reiterated a theme the panelists had also explored, emphasizing that however the agency decides to approach the technology, its vision will remain consistent with its mandate.